The good old days are right now.The Softail Slim® is a study in contrasts. The Hollywood bars, slim rear wheel, cat eye console and floor boards recall the early days of custom motorcycle enthusiasm. Yet, you also get thoroughly modern features like a High Output Twin Cam 103B™ engine, hidden suspension and great brakes to bring it all into the here and now. Notice the way bright chrome meets blacked-out metal. Laced wheels with stamped black rims. There’s never been a better time to be a rider. Hello, I'm interested in your 2017 Softail® Slim®. 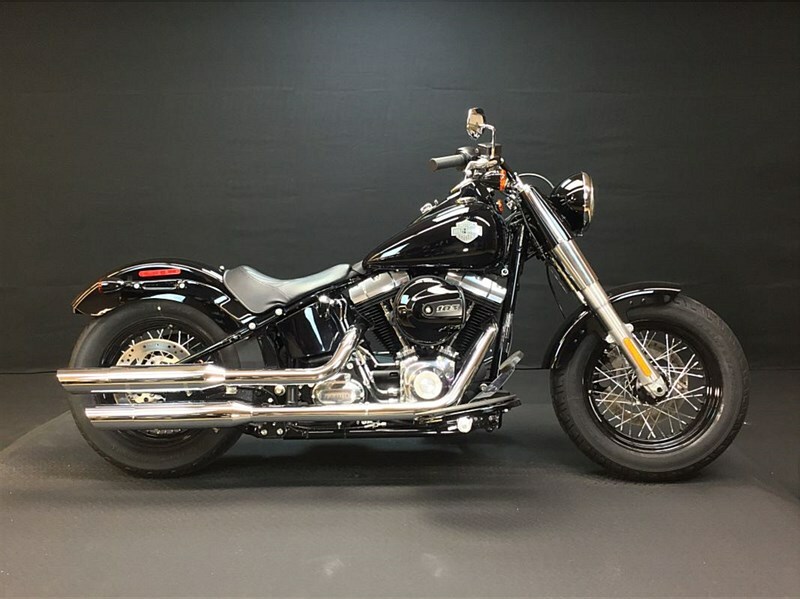 Hello, I'm interested in making an offer on your 2017 Softail® Slim®. Hello, I'm interested in trading in my bike for your 2017 Softail® Slim®. Hello, I'm interested in taking your 2017 Softail® Slim® for a test ride.